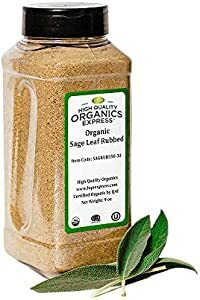 Giveaway: HQOExpress Organic Sage Leaf Rub 9 oz. Chef Jar | FreebieOrBust Freebies! Get ready for another chance to win big with our giveaway deals! Join Amazon Giveaways for access to the best sweepstakes deals available online. HQOExpress | Organic Sage Leaf Rub | 9 oz. Chef Jar. The chance of winning are 1:500. A total of 15 prizes are available. Giveaway hosted by Amazon and HQOExpress. There are 15 prizes to win. You don’t know if you don’t try – or if you don’t come back – so, remember to check in as often as possible! Make visiting our platform part of your morning ritual, and stand a chance to win big!